Turns out a wine barrel has enough wood to make about two bikes. America’s increased infatuation with craft alcoholic beverages has also led to increased interest in things crafted out of the barrels those alcoholic beverages are made in. Wooden beer, wine, and whiskey barrels have been turned into everything from surfboards to guitars to makeshift Christmas trees. Back in 2017, I even covered a bicycle made from old Glenmorangie Scotch casks, but although riding a Scotch barrel bike around Scotland sounds fun, everyone knows the more classic trope is biking through wine country. So here’s a custom bicycle practically built for that activity: one made out of old wine barrels. Industrial designer and University of Kansas professor Lance Rake caught the attention of bike lovers (and just lovers of cool things in general) when his “Cooper Bicycle” — named after the word for a barrel maker — was on display at the North American Handmade Bicycle Show in Sacramento last weekend. 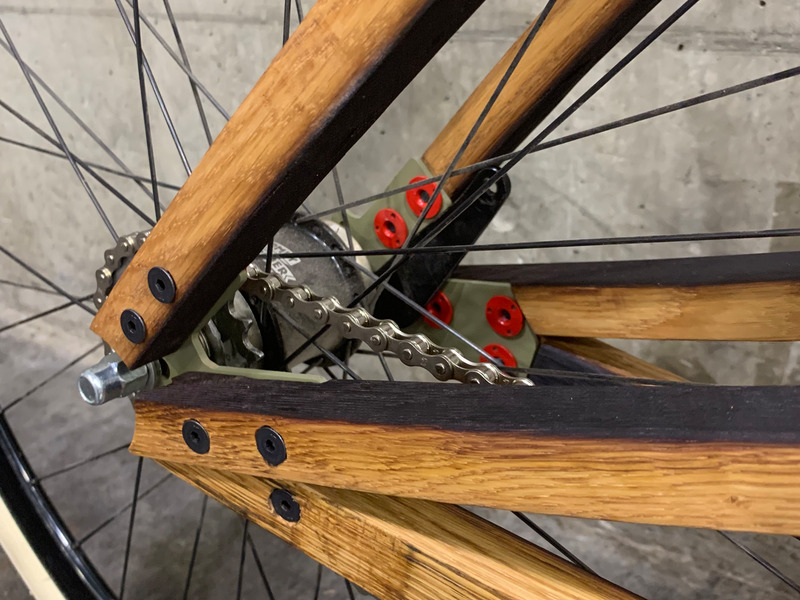 That single barrel provided more than enough wood for Rake to craft his bike, a process he says “wasn’t too difficult.” But then again, he is an industrial designer, and his explanation proceeded to go a bit over my head. In the meantime, I found myself wondering if he planned to use his wine barrel bike for a wine tasting adventure of his own. “I hate to admit I’m a bit more of a beer and whiskey drinker,” he tells me, “but my wife is into Red Blends.” So maybe the next project can be a wine barrel tandem bike?